We’ve resolved to play more in 2017. One way we plan on accomplishing that is by scheduling time for family game nights. 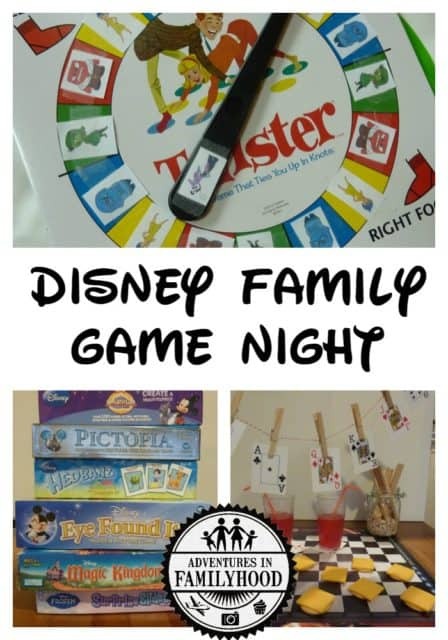 Here’s all you need to know about how to have your own family game night, with a Disney twist. Family time is precious. It’s hard to find the time in our busy day to day lives to get together as a whole family. 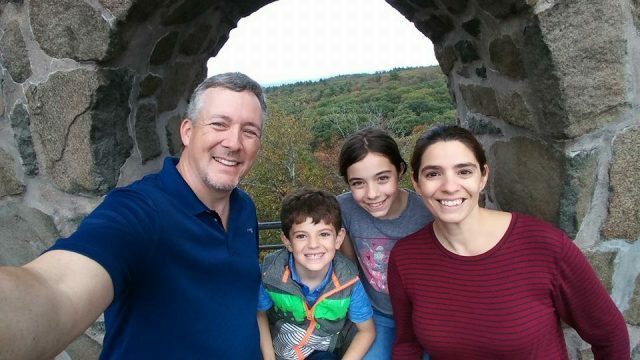 But when the moment for family fun arises, make the time really special. 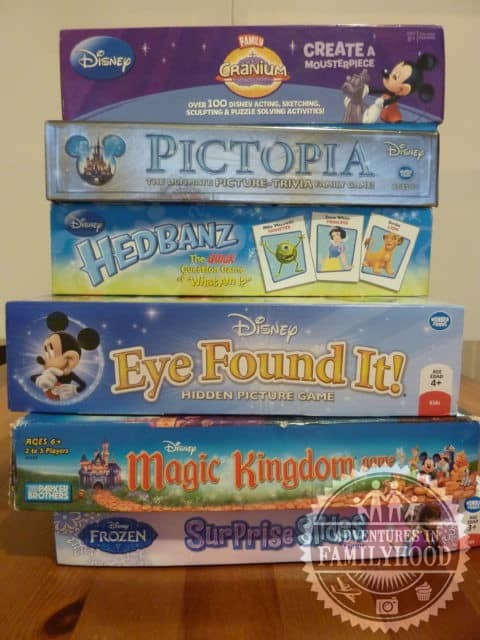 Have a Disney Family Game Night! There’s nothing like a little competition to bring the whole family together. It doesn’t take much to put one of these nights together either. 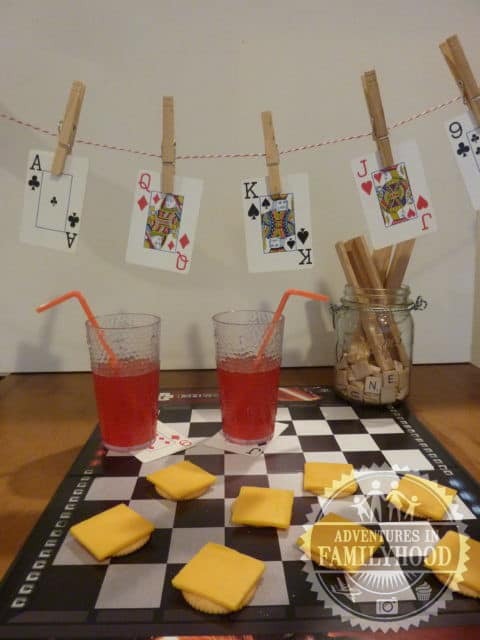 Just gather a few games and add in some creative touches and your family will be ready to play! To get your family in the mood to play, you need to set the scene. Put up a poster or sign announcing the game night to build anticipation. You could even make invitations for each family member. The point is not just to make sure they’re expected to be there, it’s to get them excited as well! Adding some creative touches to your game night playing space will put a festive spin on the activities. Use objects such as playing cards or an inexpensive pair of fuzzy dice to decorate. You could turn the playing cards into a banner by using clothes pins to clip them to a string. The cards could also be used as coasters. Printable Scrabble tiles could be used to create a welcome banner for game night. Another idea is to fill vases with game pieces such as dice, Scrabble tiles or poker chips. Select 2-3 games that the whole family can play. There’s a wide variety of store bought Disney themed games that are suitable for everyone. Our family is a big fan of the Disney Headbands game. This is a great choice especially if you have little ones in the family. Other options include Pictopia, Frozen Surprise Slides and Disney Trivial Pursuit. If you don’t have these games on hand and don’t want to spend the extra money, you can go the DIY route. In no time at all you can create your own Disney Pictionary, Charades or Bingo games. Does your family love movies? Create a movie quote trivia game. All of these can be played in teams so even the littlest of players can get in on the fun. One last option is to take the games you have and “Disney-fy” them. With a little creativity, you can sprinkle your game collection with some pixie dust. 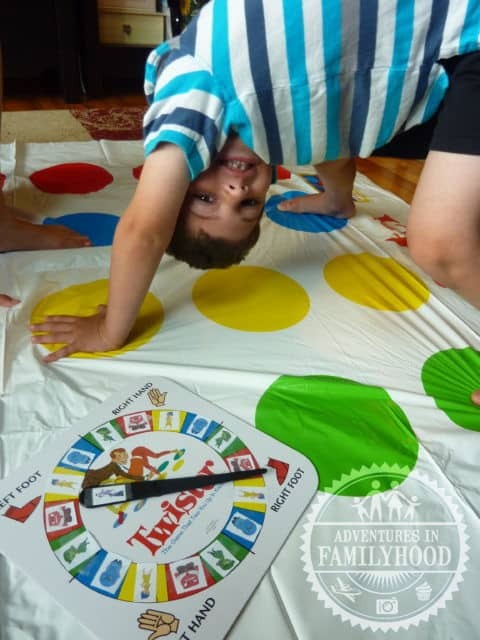 One idea is to turn simple game of Twister into Inside Out Twister. Simply print out some characters from the movie and place them on their designated color. For example, Joy would be yellow. When you spin, not only do you have to put your hand or foot on that color, but you have to do it just like the character! For an added challenge, change the rules of Scrabble and only create words with a Disney twist. All that playing is going to build up an appetite. Have some fun game themed snacks on hand for when hunger strikes. Trivial pursuit themed pizza, cheese and crackers served on a checker board or Scrabble tile brownies are just a few examples of snacks you can make for game night. Serve drinks on playing card coasters or use a checkerboard as a serving dish. As you can see it doesn’t take much to create a fun and festive Disney Family Game Night. Now let’s get playing! Have you ever played Disney Family Feud? Check that one out if not! We have never played that one. We’ll have to check it out. Thanks for the recommendation!